I have created a couple of automator scripts. I was curios if there is a way to change the application icon, on those scripts, to something other than the robot. This method works for every files in Mac OS X.
I am sure there is a better way, but I figured out how to do it this way. Copy the image you want to use as your icon. Ideally it should be 512x512 already. Click on the Icon and you'll notice a blue outline on the icon - now press Command-V or choose Paste from the Edit menu. relies on extended attributes of the HFS+ filesystem, which are lost when copying the bundle to a filesystem that doesn't support them. For instance, you cannot store a custom icon in a Git repository. the icon displayed by the bundle itself, such as when showing an alert, is still the original icon. Any changes to AutomatorApplet.icns are lost whenever you modify and re-save the bundle in Automator. Thus, for instance, you'd need a script to put the updated icons in place programmatically every time the bundle is saved. 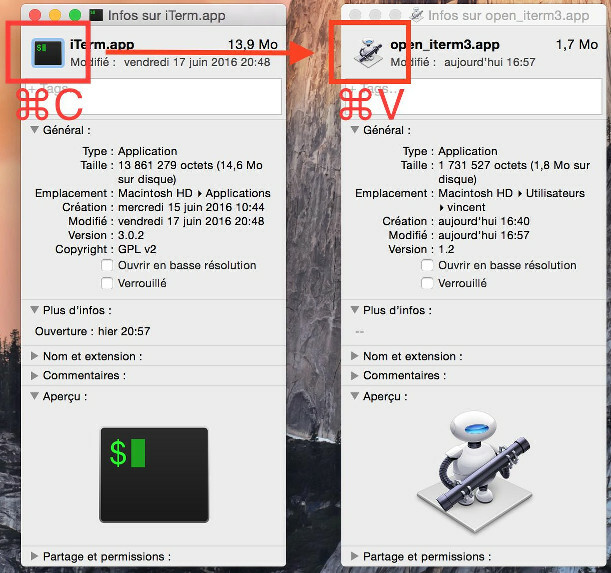 Even a reboot doesn't make the new icons appear in Finder (though it does appear in other contexts such as in the Dock), but there are two workarounds: either (a) move the bundle to a different folder, or (b) rename the bundle; given that reverting to the original path and name makes the problem reappear, you'd have to plan ahead: create your bundle in a different location or with a different name, then move / rename to the desired location / name. Alternatively, you can use a tool such as OnyX and check IconServicesunder Cleaning > User to clear the cache. Not the answer you're looking for? 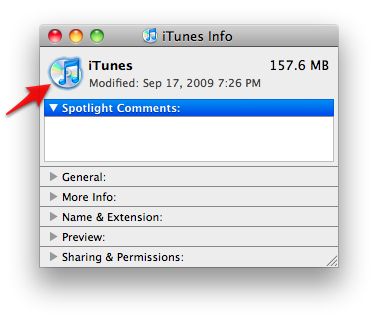 Browse other questions tagged automator icon . True Full Screen in Firefox? Can I assign an Automator workflow to more than one application? How do I determine which application launched automator service? How can I add an Automator application to the Dock?